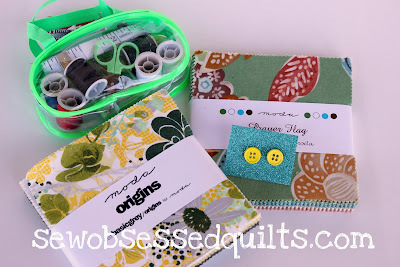 Sew Can Do: Sew Obsessed Giveaway Winner! Congratulations Beverly! You've won a sewing goodies bundle of 2 charm packs, travel sewing kit & button earrings. I wanted to give a big thank you to everyone who entered & to Sew Obsessed for providing some great fabric prizes. If you didn't win, don't worry - there are lots more great giveaways coming up throughout the rest of CraftShare, as well as all-new tutorials, so stay tuned for next week's topic: Fold Over Elastic. Thank you so much for the feature and thanks for hosting!